My giant star quilt is quilted and bound. Everything came from my stash, although I did have to buy some yellow thread and batting to finish her up. The focal fabrics on the front are souvenirs from my time volunteering in Uganda. I have so much precious fabric from that trip and I had originally planned to make this quilt really scrappy with lots of different African prints- but I am so glad I went simple. I am planning to give this quilt as a surprise to two of my favorite people we met in Uganda: Joann and Mark Forbes. They were an LDS missionary couple we met there and sharing our African experience and volunteer work together was a true sanity saver. I haven't seen them since we left Uganda- but I love and miss them a lot. 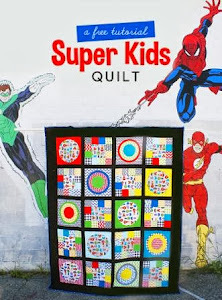 Joann is also a quilter, so I know she will be excited to receive this. I have to admit that I really rushed through quilting this and it's probably not my best work. At 64" square, it is about as big as I want to go on my domestic machine. I know that renting a longarm has surely spoiled me. This was the first "Purge" project I did this past summer: I used pieces of blue fabrics that have been languishing in my stash for years for the backing. Basting it felt a little more tricky than if I had only had two pieces for the back, but I know it was worth it and it saved me some money. Finally, as my final "purge" project, I made some pillowcases for the 1 million pillowcase challenge. I dug into my girly novelty fabrics that are hard to use as well as some "scaley" multicolored fabrics that is as old as my 8 year marriage. This project was fast and fun and helped me make peace with my serger- it seems to periodically become un-threaded in one place or another- is that normal? All told, I used up about 17 yards of fabric through participating in Stitched in Color's Purge. This blog activity was right up my alley: I do a decent job of getting rid of fabrics I truly don't like and know I won't ever use - but I hang onto a lot of fabric that is nice quality and usable - it's just not my favorite or easy to use. Thanks for reading. Linking up to Stitched in Color and Finish it up Friday. Yay for finished! 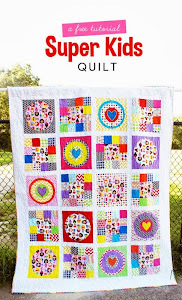 :D That quilt is gorgeous and I'm sure your friends will appreciate it. And the pillowcases are adorable! The giant star quilt is amazing. Love the colors -- love the whole thing! Found you through stitched in color's link up. Love the giant star. Lovely giant star quilt! You did an amazing work.